Using the above configuration syntax, you can configure multiple source sessions and multiple destination sessions for the same RSPAN VLAN. Put another way, you can put traffic into the RSPAN VLAN from anywhere in your L2 domain, and then pull all of this traffic out of the RSPAN VLAN from anywhere else in the L2 domain except the switch that sourced the traffic. 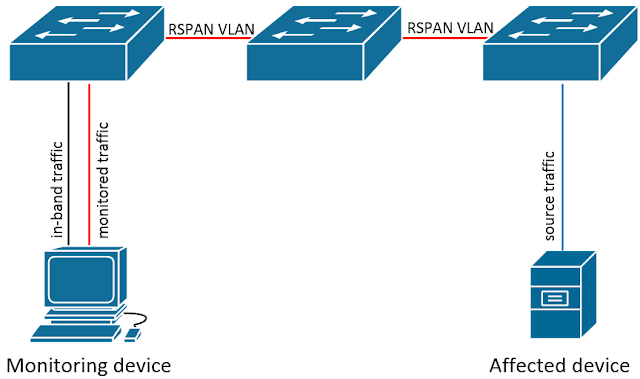 However, keeping RSPAN sessions separate requires separate RSPAN VLANs. Keep in mind just because you can do something doesn't mean you should. In most use cases it is probably best to limit an RSPAN session to a a single source and destination for a specific troubleshooting purpose, so you're not sending large volumes of mirrored data across uplinks between switches. 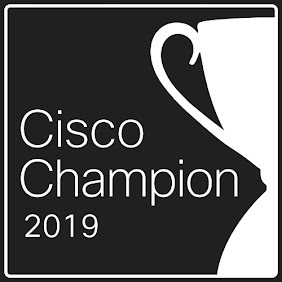 It is also important to note that RSPAN mirrored traffic is inherently less accurate than SPAN or a network tap, and for network traffic that requires precise timing, RSPAN may not be accurate enough. For more info on potential downsides of RSPAN, check out this blog post. Here is a basic RSPAN config to mirror data from f0/1 on SW1 to f0/1 on SW3. This assumes the switches are already trunked from SW1->SW2->SW3. Create RSPAN VLAN 1000. Mirror ingress and egress traffic from f0/1 to VLAN 1000. Create RSPAN VLAN 1000. Mirror traffic from VLAN 1000 to f0/1. That's it! We just mirrored all traffic from interface f0/1 on SW1 through SW2 and out interface f0/1 on SW3. As always, there may be platform specific limitations and caveats so be sure to reference documentation for your specific use case. For example, on the 3560G used for testing, I was not able to use the "encapsulation replicate" monitor destination parameter on the source switch, so all traffic was sent untagged, even though the source port was a dot1q trunk. In another blog post I will be covering ERSPAN (encapsulated remote SPAN) to send mirrored traffic across a routed link. will the ping pkts to the affected device will go through the trunk ports where span dest vlan is configured.